Our client, a mid–town law firm, needs an experienced Litigation Legal Secretary to work in their Consumer Litigation Department. They are looking for 3-5 years of solid Litigation experience. The Secretary will primarily support the Managing Partner and two other attorneys. They will be trained in the Consumer Litigation area and need to be a fast learner. Candidates must be familiar with Tables of Authority, Tables of Content, and E-Filing, and Excel. Must be able to provide support at all stages of a case –from preparation to Trial and after. Also will need to communicate with the Courts regarding case status, upcoming trial dates and more. The candidate needs to be able to manage calendar dates, e-court notifications, and e-filing documents in state and federal courts. Assistance with compiling exhibits in support of motions ,discovery, and correspondence is also expected. Our client, a mid-town law firm needs to hire two Legal Secretaries. One will work in their Litigation Department and support a Trial Attorney and possibly an Associate. Solid litigation experience is required. You will file motions, briefs, memorandums, pleadings at various courts. Must know electronic filing and also State Court filing requirements. Other position will support four Attorneys in their Maritime Department. This spot requires that you know both State and Federal Court filings and procedures. Both positions need excellent secretarial skills and proficiency in Microsoft Word programs of Word, Excel, PowerPoint, and Outlook. Knowledge of Tables of Content/ Tables of Authority a plus. Candidate must be flexible to occasionally cover Reception. Our client offers a range of benefits including Oxford Medical, 401K, and TransitCheks. Experienced Legal Secretaries should send their resumes to: dhorowitz@roberthadleyassociates.com for confidential review. Long Term Temporary Administrative Assistant - Financial Services 3 Years experience maximum! DESCRIPTION: Our client, a well-known midtown hedge fund, is currently recruiting for a junior administrative assistant. Must be able to multi-task, and be a team player committed to providing a high level of client service and accurate and professional work product. Excel skills required! BA from a top school with a top GPA with excellent communication and MS skills! Strong technical skills: Proficient in Microsoft Office, including Outlook, PowerPoint and Excel; EXCEL A MUST!  Robert Hadley Associates is currently recruiting for a Senior Real Estate Legal Secretary to support a busy Real Estate Partner at a large, full practice law firm's midtown Manhattan office. Must have commercial experience from a large or mid sized law firm and a keen attention to detail. Candidate identified will be a multi-tasker with excellent technical skills (word, typing, styles) and a few years minimum of real estate secretarial experience. Available for immediate hire! DESCRIPTION: Our client, a Wall Street Law Firm is seeking a mid- level Legal Assistant with 3+ years of experience for its Investment Management Group to start immediately. The individual in this position will participate as a team member and be responsible for supporting the firms attorneys and clients on a range of compliance and regulatory matters. The ideal candidate will have strong analytical and organizational skills. Edgar experience is essential. They will manage federal and state compliance work relating to blue sky filings, entity formation and dissolution processes, in addition to fulfilling tax requirements. They will assist clients and legal staff with EDGAR filings and SEC policies. They will assist in the quarterly billing processes, including review and preparation of invoices. They will work with attorneys and clients to ensure annual and recurring deadlines are met in a timely fashion. This is a permanent position for a Corporate Paralegal with 3 or more years of experience working with EDGAR and SEC filings. The paralegal will be part of a team of about 8 other paralegals in a very busy Investment Management Department of 35 attorneys. This position will pay $60,000 or more DOE. Our global law firm client is hiring a "PART-TIME" Legal Assistant to work 15-20 hours per week in their Midtown, NY satellite office. This is an ideal position for someone with 1-3 years of experience who would like a part-time position. Firm is flexible with work schedule to accommodate a school schedule. Candidates must have some law firm experience and be reliable and technically skilled. Responsibilities will include answering phones, preparing travel arrangements, calendar management, preparing FedEx, etc. Employees will be entitled to receive pro-rated portions of PTO and firm benefits. Legal Secretary needed to work for mid-sized law firm very conveniently located in Midtown Manhattan. Our client needs to hire a smart, technically skilled experienced legal secretary who can support their busy managing partner. The managing partner is also a very busy litigator, and, therefore, the responding candidates must be able to balance the demands of litigation work and administrative work for the law firm. Candidate must be able to keep confidential information confidential. Our client pays for full medical coverage, including family coverage in addition to many other benefits. Potential candidates must have experience making frequent travel arrangement for domestic and international travel along with reservations for luncheons, dinners, conferences and Board Meetings. Candidates must be extremely articulate and be able to pass a deep background check.